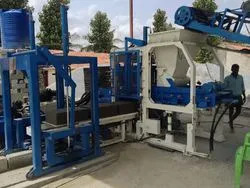 Chirag Industry laid its foundation in 2015 as manufacturer and trader of Brick Making Machine, Block Making Machine, Concrete Batching Mixing Plant, Pan Mixer and many more. All are machines are equipped with all the necessary accessories making them easy to operate. These are highly demanded for its features like higher efficiency, durable finish standards, and reliable service life. Manufactured using best quality raw materials and modern machines by our trusted vendors, these products attain perfection to the level of international quality standards. Satisfaction to the customer is our major earning, thus, we make sure that our customers get the best value for their money. We have been able to cater to the needs of the clients through honest and ethical business practices. The vendors associated with us are well equipped with latest machines and equipment, which helps in manufacturing these machines. Moreover, the quality is being checked by the vendors as well as by our quality experts. We have a well-equipped large warehousing facility with smooth inventory management system that is administered by our warehousing personnel. 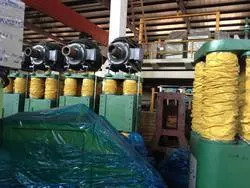 Furthermore, the unit is well connected with the transportation modes, which leads to timely delivery of the products. Packaging is done using high quality packaging raw material, before supplying the products to the clients. Due to our diligent vendors' base, we are able to serve flexible requirements of our clients with ease under minimal lead time. We are fostered with an authentic vendor base, which allow us to offer our valuable client’s quality assured products. Our vendors have been selected on the basis of their market reputation, industry experience, financial solidity and client’s response. We are further ensured by our vendors that the offered products are thoroughly tested on various parameters using latest testing devices and tools by their experienced quality controller team in order to deliver the flawless range at client's end.